An unforgettable theatrical experience that brings these classic stories to life with dazzling visuals and the creative use of music ranging from classical to jazz to pop. In an age when television, computers and video games reign supreme, the folks at Lightwire Theater ("America's Got Talent" favorites) bring their use of cutting edge technology, moving sculpture, and dance to an unforgettable theatrical experience that brings the classic stories of THE UGLY DUCKLING AND THE TORTOISE & THE HARE to life with dazzling visuals and the creative use of music ranging from classical to jazz to pop. 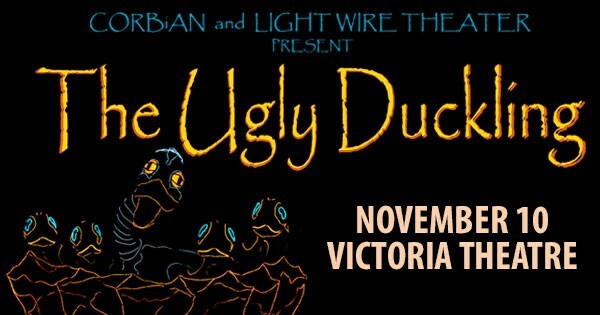 Find more events like "The Ugly Duckling"